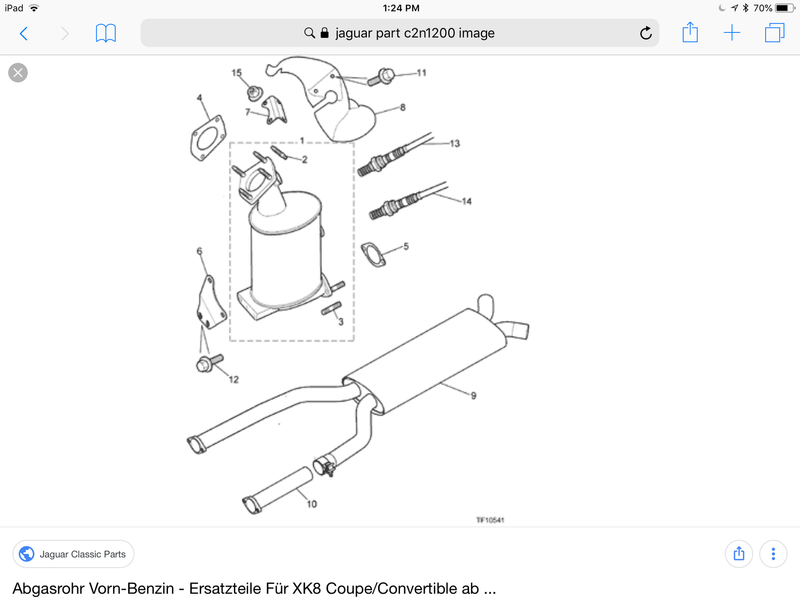 Does anyone know where I can find the left side down pipe heat shield? It is not available any longer and the last new one in existence just sold on eBay. 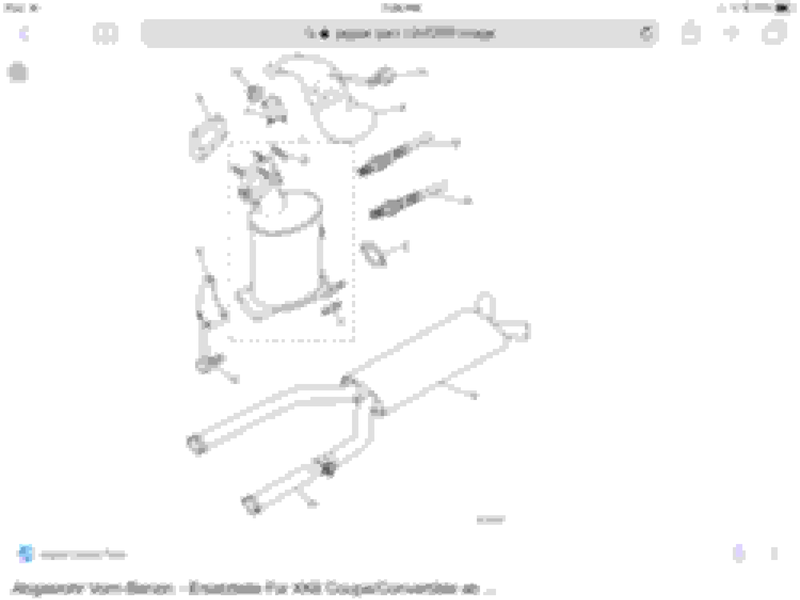 The Jaguar part number is C2N1200. 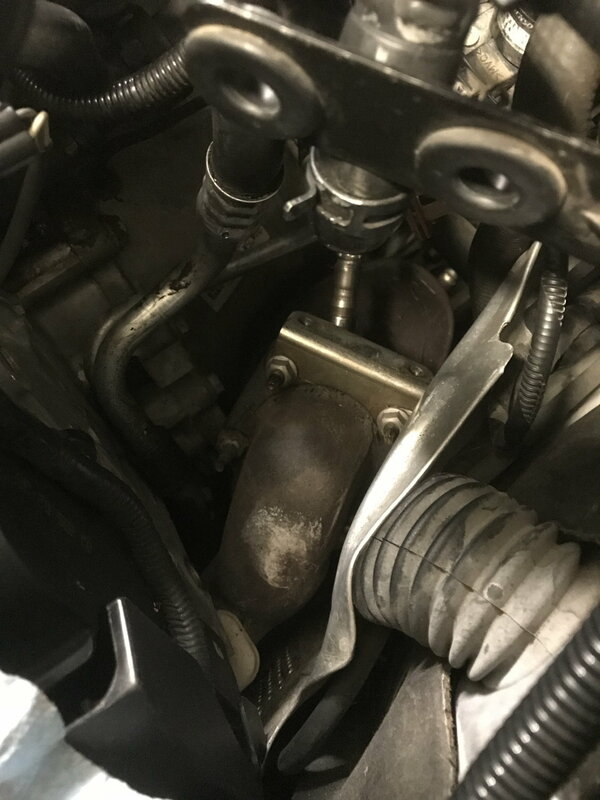 The piece bolts to a bracket that bolts to the exhaust manifold Cat connection. You have to remove the coolant recovery tank to access it. New or used. I have attached a sketch showing it as #8 and a photo showing where it attaches. Last edited by mvsbraga; 07-12-2018 at 11:06 PM. Reason: Add additional description. This heat shield also has a key hole like cut out to allow it to go around the 02 Sensor. You might try Coventry West in Atlanta. They have a big wrecking yard. Thank you for the heads up. On their web site Coventry says not in stock, but I have sent them an email. Most part houses say NLA so will be a used part if found or make up some sort of replaceable substitute. More 'shielded wire' questions...but not the one you're thinking of! Dreaded shielded wire Hello Grant!